The drain and sewer lines that service your home play very important roles. That means that you need to take care of them. Unfortunately, they are sometimes the last components of a home that are thought of until something is wrong. At S.O.S. Drain & Sewer Cleaning Services, we offer a wide range of residential drain and sewer services to clients throughout Minneapolis, St. Paul, and all of the Twin Cities. The moment that you notice there is a problem, call us immediately so that we can clean the line and get it flowing again. Preventative maintenance is something that is very important for your home’s drains and pipes. Maintenance prevents problems that can become very costly. What we do for you is establish a maintenance plan that keeps your drains and sewer lines clean so you don’t have to deal with the frustration and expensive of the issues that damaged pipes and lines can cause. There are times when realtors want to know that drains and sewer lines are clear and free of damage. We can perform inspections and provide realtors video documentation that shows them the conditions of the pipes. This is very useful to realtors, the seller, and prospective homebuyers. Frozen lines in Minnesota are not unusual. When you have frozen lines, it is important that you have them thawed out as soon as possible. That way you can minimize the chance of them breaking. Broken pipes can be a major issue that comes with an expense. By having them properly thawed, you can avoid that high expense. Preventative maintenance is a good way to save money. We do free estimates and can cut your expenses with a maintenance program that is custom designed for your drains and sewer system. Not every system is the same, so it is very important that we do a thorough evaluation to ensure that your pipes are taken care of. 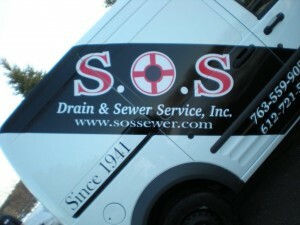 When your home needs thorough drain and sewer cleaning services, S.O.S. is there. We offer same-day service and 24/7 emergency services so that you can get back to normal in no time. 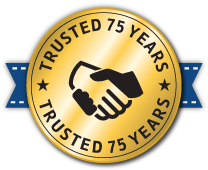 To learn more about our drain and sewer cleaning services and/or request a free estimate, call the Anoka location at 763-413-4720, the St. Paul location at 651-645-8383, the Bloomington location at 952-835-7677, or the Minnetonka location at 763-559-9050.